All three of the Cunard Line ships offer cruises to Australia from the UK and from the USA. 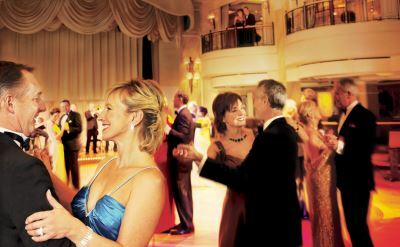 Cunard ocean liners are elegant and spacious with excellent service. They attract discerning travellers with sophisticated tastes. 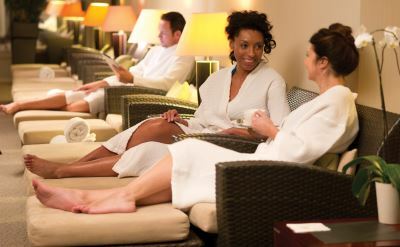 Cunard Line cruises include 24-hour room service, nightly turndown service, meals in the main restaurants or buffets, daytime and evening entertainment, fitness centre, programmes for children age 2-17, and enrichment programmes. 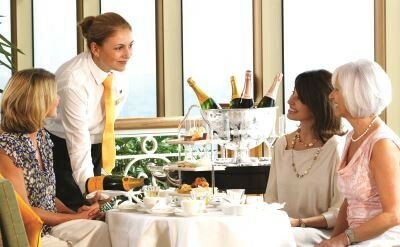 Read Cunard Line cruise reviews. 6-night Southern Australia cruise on the Queen Elizabeth. One-way from Fremantle (Australia) to Melbourne (Australia). Visit Brusselton (Australia) and Adelaide (Australia). • 2019 departure: February 4. 21-night cruise to Australia on the Queen Victoria. One-way from San Francisco (California) to Sydney (Australia). Visit Honolulu (Hawaii), Apia (Samoa), Nuku'Alofa (Tonga), Tauranga (New Zealand), Auckland (New Zealand) and Bay of Islands (New Zealand). • 2019 departure: February 6. 7-night Southern Australia & Tasmania cruise on the Queen Elizabeth. Round-trip from Melbourne (Australia) to Kangaroo Island (Australia), Adelaide (Australia) and Hobart (Tasmania). 59-night cruise from Australia to England on the Queen Victoria. One-way from Sydney (Australia) to Southampton (UK). Visit Brisbane, Airlie Beach, Darwin, Bali, Phu My, Nha Trang, Hong Kong, Chan May, Singapore, Malacca, Colombo, Port Victoria, Mauritius, Reunion, Port Elizabeth, Cape Town, Cape Town, Walvis Bay and Gran Canaria. • 2019 departure: February 28. 5-night Tasmania cruise on the Queen Elizabeth. Round-trip from Sydney (Australia) to Hobart (Tasmania) and Port Arthur (Tasmania). • 2019 departure: March 4. 6-night Tasmania cruise on the Queen Elizabeth. Round-trip from Melbourne (Australia) to Hobart (Tasmania) and Port Arthur (Tasmania). • 2019 departure: March 12. 33-night cruise to Australia from the UK on the Queen Elizabeth. One-way from Southampton (England) to Fremantle (Australia). Visit Lisbon (Portugal), Tenerife (Canary Islands), Walvis Bay (Namibia), Cape Town (South Africa), Port Elizabeth (South Africa), Reunion Island and Mauritius. 8-night Southern Australia cruise on the Queen Elizabeth. One-way from Fremantle (Australia) to Melbourne (Australia). Visit Albany (Australia), Esperance (Australia) and Adelaide (Australia). 8-night Tasmania & Southern Australia cruise on the Queen Elizabeth. Round-trip from Melbourne (Australia) to Burnie (Tasmania), Hobart (Tasmania), Kangaroo Island (Australia) and Adelaide (Australia). 7-night Tasmania & Southern Australia cruise on the Queen Elizabeth. Round-trip from Melbourne (Australia) to Hobart (Tasmania), Kangaroo Island (Australia) and Adelaide (Australia). 7-night Tasmania & Southern Australia cruise on the Queen Elizabeth. Round-trip from Melbourne (Australia) to Burnie (Tasmania), Hobart (Tasmania) and Adelaide (Australia). • 2020 departure: January 26. 7-night Tasmania & Southern Australia cruise on the Queen Elizabeth. Round-trip from Sydney (Australia) to Burnie (Tasmania), Hobart (Tasmania) and Melbourne (Australia). • 2020 departure: March 2. 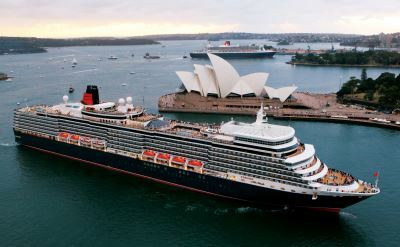 6-night Australia cruise on the Queen Elizabeth. One-way from Brisbane (Australia) to Adelaide (Australia). Visit Sydney (Australia and Melbourne (Australia). 7-night Tasmania & Southern Australia cruise on the Queen Elizabeth. Round-trip from Melbourne (Australia) to Port Arthur (Tasmania), Hobart (Tasmania) and Adelaide (Australia). • 2020 departure: December 15.